President Xi Jinping paid a state visit to the Independent State of Papua New Guinea from Nov 15 to 16. President Xi Jinping visited the Republic of the Philippines from Nov 20 to 21. CIDCA, the Permanent Mission of China to the UN and the UNDP jointly released a case study report on China's agricultural development cooperation projects in Guinea-Bissau and Mozambique in New York on Oct 29. China-Africa cooperation has entered a new golden era, according to Nie Chenxi, director of the State Administration of Radio and Television. 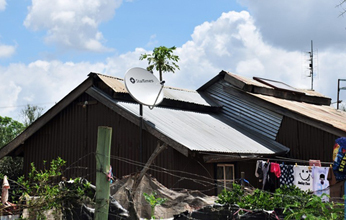 Zambia has launched a Chinese-funded digital television project that will see 500 villages in the southern African nation access satellite television services. A Memorandum of Understanding on Cross Border Railway signed between the two sides during the visit has paved a way for further enhancing cross-border connectivity between the two countries in the days to come. Premier Li Keqiang and visiting Papua New Guinea counterpart Peter O'Neill oversaw the signing of multiple agreements on Thursday that boost cooperation under the Belt and Road Initiative and in other areas. 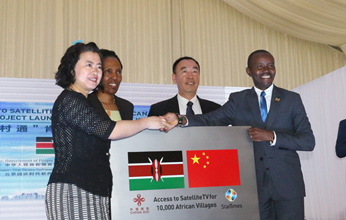 The government of China in partnership with Kenya's Ministry of Information Communication and Technology rolled out the 800 Villages Digital Television Project on Thursday, which aims to bring satellite television services to 47 counties in Kenya.